Hey, thank you all..49 today and it's been great so far. I had my annual health check at my doctor's this morning and all my previous blood tests, cholesterol etc are fine. It's been very cool for July here - max temps around 60F and dropping into the 40s at night. I'm hoping August will be warmer when I'm planning a couple of short trips. I've spent the evening having my dinner and am thinking of watching a LH episode, Times of change Ep. 1 and 2. The most bizarre thing occurred. I hadn't been watching LH very much recently - stopping somewhere in season 5. Then, a friend suggested I watch Sons of Anarchy on Netflix. Well, talk about a change of place, time, origin and the violence in that show. But somehow I got really into it - perhaps I've been a bit ill (some time off work for anxiety and depression) I love it and have watched the first 6 seasons and am into the 7th. The story lines are so compelling and I really identified with almost all the MC gangs, SAMCRO too but especially the Mayans. Perhaps this is because I have a degree in Hispanic studies and literature. A chat with my doctor and a prescription for more diazepam plus a suggestion I shouldn't watch Netflix between 4 and 8 in the morning. Then today I decided to change my name and did so online. Not my Christian name, Joe, but my middle name and surname. I want to be as Hispanic as possible (for someone from Scotland). I chose Cristobal, pronounced kree-STOH-bahl as my middle name and Martinez as my surname. So now, legally, as I paid for this, I am Joe Cristobal Martinez in place of my old fairly Anglo-Saxon name. I'm wondering whether this is some type of illness due to my viewing habits, or age, or something else entirely, but I'm calling people 'ese' and 'bro' regularly. None of this fits with my love for Little House but I find it hard to watch lately. I'm thinking it's some kind of brainstorm or mid-life crisis which will blow over, but I know that I won't be changing my name back... I felt a definite pull to be more Hispanic, Latino or whatever. On reflection after my last post, I haven't had a tatoo or anything like that. The name change was perhaps a long time coming as I had lost contact with nearly all my immediate family since my father's death in '95. Plus, I discern a touch of fear coming up to my one year anniversary of surviving the acute pancreatitis; and some alarm at the fact I am now on 20mg of Diazepam daily (and sometimes having a gin in the evening). I just don't want things to get worse. I had been so healthy over our very cold Summer, out at work, walking 6, 7 miles daily. Doing well mentally, reading, listening to my favourite Jackson Browne, visiting with neighbours. Now it's dark earlyish, my mood is low and, frankly, a bit black and white - I binge on some very dark TV and I know it's not right. I'm now much better and relieved, also. My doctor said it was a manic phase I was going through. Still on the diazepam for panic attacks but not crazy anymore. My name-change was manageably reversed. On a different medication also which has stabilised my mood swings. Hoping to contribute to the forum more in the weeks ahead. Glad to hear you're doing better, Joe. Welcome back to the Prairie! Just checking in again - since I mentioned my issues here, there doesn't seem any point in starting a new thread..and my Birthday will roll around in July again, anyway. I've been OK - my mood is stable but I was diagnosed with exertion angina just after Christmas; simply my body telling me to take it easy, and I have a spray and other meds to take. My doctor increased the diazepam, mainly because the angina was worrying me a lot. A problem I've got is that I tend to hoard them then take a hit of around 40mg before doing something enjoyable - like watching an episode of LH. I feel warmer and fuzzier and enjoy the show more. Somehow, because my doctor is prescribing them and I'm not buying them over the internet or anything like that, I can pretend to justify it. No alcohol at all, though. Oh, and my weight went down from 182 to 160 which I'm pleased about. 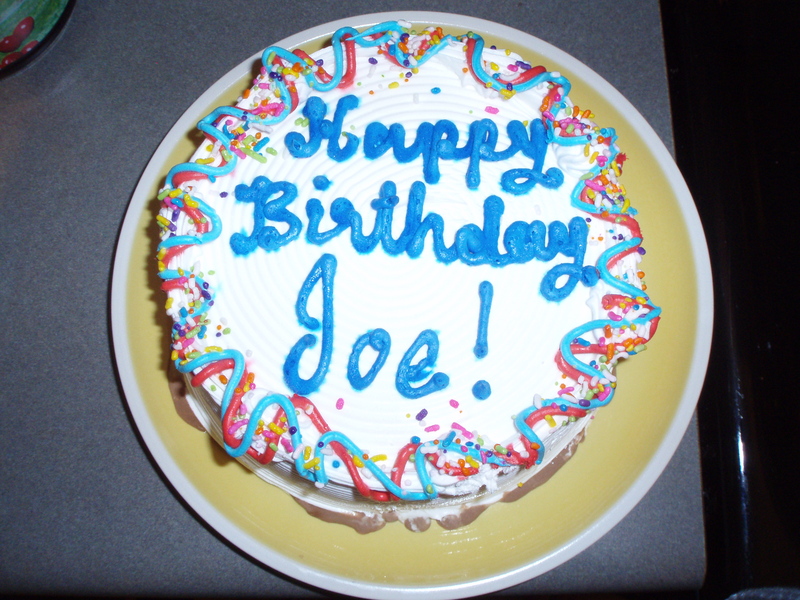 Subject: Re: Happy Birthday, MankatoJoe!